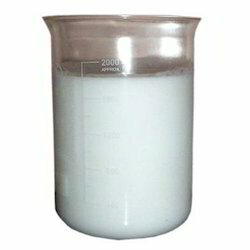 We are a leading Wholesale Trader of indofil ha-8i acrylic emulsions from Mumbai, India. Indofil Ha-8i Acrylic Emulsions is a self crosslinking acrylic emulsion used mainly in the fields of non-woven, lamination, flocking and finishing of textiles. While adding catalysts they should be diluted with water. Oxalic acid should be added from a 10% in water while others are added from 25% aqueous solution. Temperatures at which the cross linking takes place using different catalysts is 120°C for oxalic acid and 140C for ammonium nitrate ordiammonium phosphate respectively. Looking for Non Woven Bonding Chemicals ?